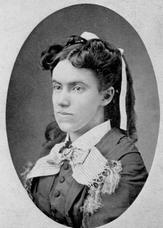 Lottie Moon, height 4 foot 3 inches, was a powerhouse for the gospel. Born to affluent parents who owned a tobacco plantation in 1840, she was indifferent to her Baptist upbringing until the age of 18, when she underwent a spiritual awakening at a revival meeting on her college campus. At the age of 33, with one of the first Master of Arts degrees accorded to a woman by a southern university and with a few years of teaching experience, she followed her younger sister onto the mission field in China. She spoke five languages, could read Hebrew and would learn Chinese. She had turned down a marriage proposal and left everything behind, with no expectation of ever returning home, in order to follow God’s call on her life. Lottie started teaching at a boys’ school but soon discovered her real passion: evangelism. Most mission work at the time was done by men, but they could do nothing to reach the Chinese women. Frustrated at being tied to teaching in school, she soon viewed herself as part of an oppressed class–that of single women missionaries. She became relentless in a battle to see women missionaries given the freedom to minister and to have an equal voice in missions proceedings. She wrote frequently to the head of the Southern Baptist Missions Board requesting more workers–whether male or female. At the age of 45, Lottie Moon moved away from teaching into full time evangelism. Her converts numbered in the hundreds. She wrote numerous letters to people back in the States describing the life of a missionary and encouraging Southern Baptist women to create support groups for missionaries, and to consider becoming missionaries themselves. She also argued for regular furloughs for those on the mission field, convinced this would extend their lives on the mission field. When she returned from her second furlough in 1904, Lottie was deeply disturbed by the poverty and starvation she saw all around her and she started sharing her meager supplies with them–to her own physical and mental detriment. She pleaded for more money, but the mission board had none to send her. By 1912, she weighed only 50 pounds. Fellow missionaries were so alarmed by her appearance they arranged for her to be sent home with a companion. She died on board the boat home. But Lottie Moon’s legacy lives on: In 1887, one of her letters home suggested that the week before Christmas be specially set aside for giving to missions. The idea caught on. The first offering raised more than $3000, enough to send three more missionaries to China. In the years since then, the Lottie Moon Christmas Offering for Missions has raised a total of $1.5 billion and finances half the entire Southern Baptist missions budget every year. Recently, on a Sunday which I was spending in a village near Pingtu city, two men came to me with the request that I would conduct the general services. They wished me to read and explain, to a mixed audience of men and women, the parable of the prodigal son. I replied that no one should undertake to speak without preparation, and that I had made none. (I had been busy all the morning teaching the women and girls.) After awhile they came again to know my decision. I said, “It is not the custom of the Ancient church that women preach to men.” I could not, however, hinder their calling upon me to lead in prayer. Need I say that, as I tried to lead their devotions, it was hard to keep back the tears of pity for those sheep not having a shepherd. Men asking to be taught and no one to teach them. We read of one who ìcame forth and saw a great multitude, and he had compassion on them because they were as sheep not having a shepherd. “And how did he show his compassion?” He began to teach them many things. “Brethren, ministers and students for the ministry, who may read these lines, does there dwell in your hearts none of that divine compassion which stirred the heart of Jesus Christ, and which led him to ‘teach’ the multitude many things”? Women, too, may find [a place]. In city and in village, thousands of women will never hear the gospel until women bear it to them. They will admit women, but men can not gain access to their homes, nor will they come to church. The only way for them to hear the good news of salvation is from the lips of foreign women. Are there not some, yea many, who find it in their hearts to say, ‘Here am I; send me’? Amazing what one outspoken little lady can do!